The International Sustainable World Energy, Engineering, and Environment Project (I-SWEEEP) just held its large annual science and engineering competition In Houston, Texas. 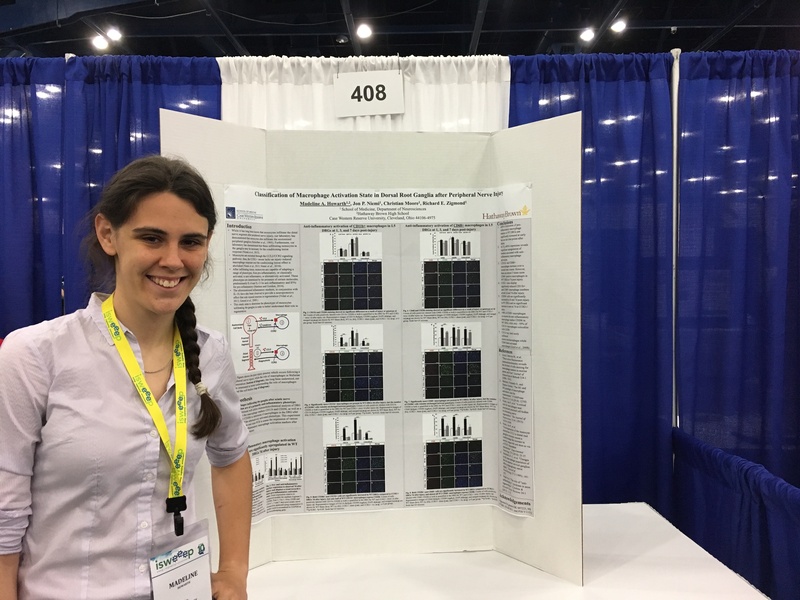 More than 400 high school researchers from 60 countries gathered May 3-May 8 and were exposed to five days of scientific, cultural, educational and social events with the main event being a full day at which each student's research project poster was judged in person by several professional judges. 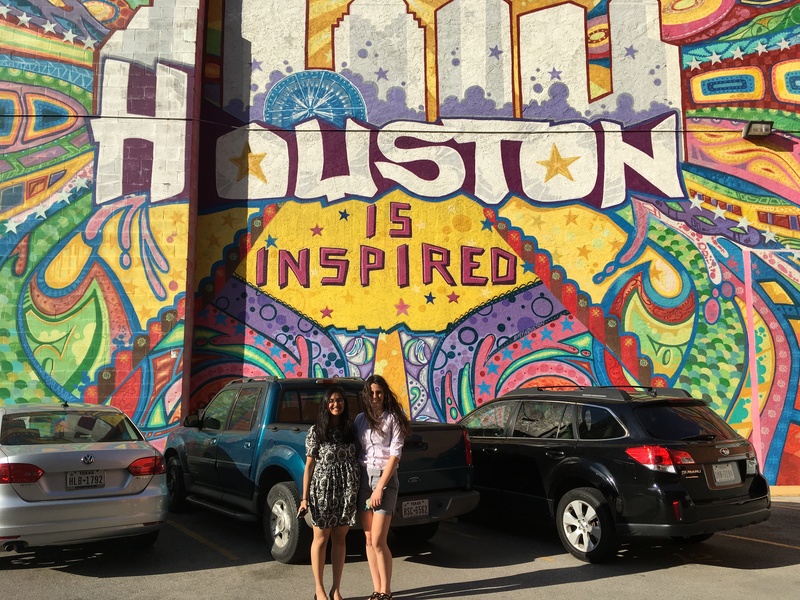 Two Hathaway Brown students won all-expenses-paid trips to compete at I-SWEEEP as finalists by advancing through the Hathaway Brown 19th Annual Poster Session judging in March. HB has awarded spots to I-SWEEEP each year based on the quantity and excellence of the science and engineering research that comes out of HB year after year through the SREP. 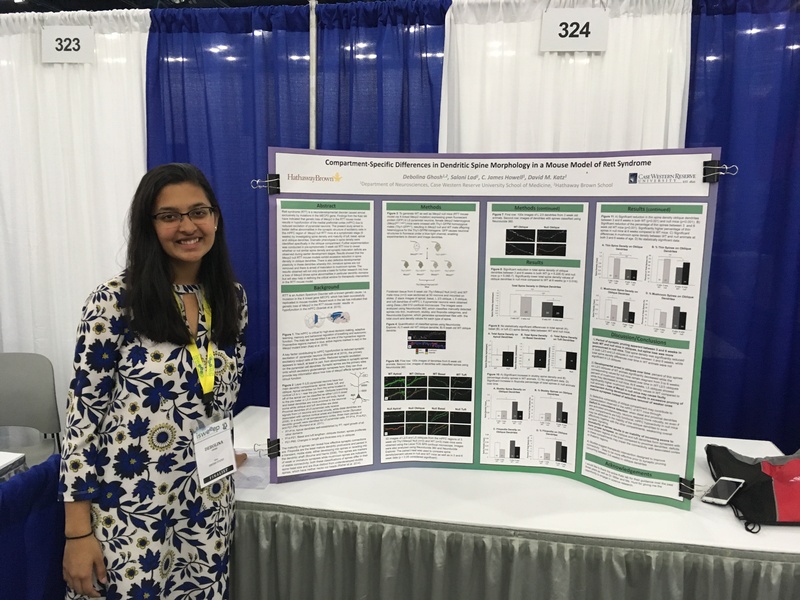 Lina Ghosh '17, working in the lab of Dr. David Katz in the Department of Neuroscience at Case Western Reserve University, presented her research on neuronal abnormalities in a mouse model of Rett Syndrome, and won a Bronze Medal in the Environment category for Health and Disease Prevention. Madeline Howarth '17 works on recovery after peripheral nerve injury in the Department of Neurosciences at Case Western Reserve University School of Medicine with Dr. Richard Zigmond. She was awarded an Honorable Mention in the Environment category for Health and Disease Prevention at I-SWEEEP this year. Congratulations to Lina and Madeline!